Now that you’re (semi) living on your own, you get to make a lot of choices about what you eat, how you eat it and when you eat it (Rollins Late Night, anyone?). One of those choices, if it suits you, could be vegetarianism! If you don’t know, to be a vegetarian means to cut out all animal meats from your diet. Hopefully you’re going vegetarian because you have a personal commitment about it, such as not wanting to support the modern meat industry in the inhumane way it butchers animals. Or maybe you just don’t like the idea of eating a dead chicken. 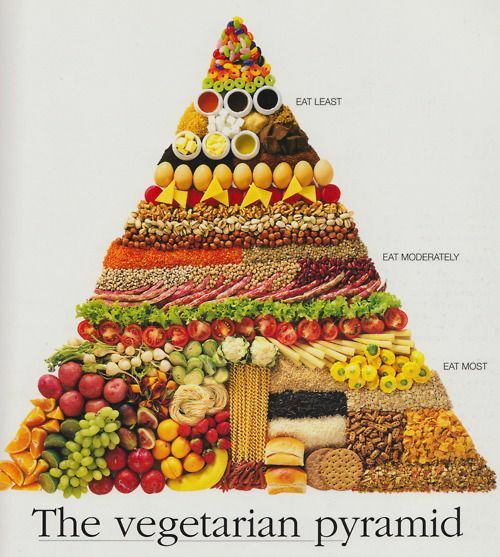 I’ve gathered some handy tips for all the wanna-be-herbivores out there. I hope you like them! Cutting an entire food group out of your diet is pretty intense. Meat is the number one source of protein, so you need to be consciously supplementing this super important substance into all of your meal choices as a vegetarian. Eggs: Eggs are the kings of the protein game, and you can get super creative with them. Iron also is a key nutrient mostly found in meat (with higher concentrations in red meat). You could always take an iron supplement if it becomes a problem, but try to find it in your food, too. Iron is super important, and this kind of mineral deficiency is not something you want to deal with (fatique, pale skin/pallor, weakness, fast heartbeat, dizziness, etc). Lentils and tofu -- both have some of the highest iron concentrations, so don’t knock them until you’ve tried them! Plus, seasoning will be your best friend as a vegetarian. If you can season, you can do anything. Also, tofu comes in different textures, from firm to squishy (technical term). Experimentation is the name of the game! Don’t overlook dairy! There are so many amazing sources of nutrients that you can find in things like greek yogurt (even regular yogurt! ), milk, cheese and eggs. Also, keep up the great eating habits (with little indulgences) because they’ll matter! Whole grain bread (don’t stop at whole wheat! ), peanut butter/soynut butter, fresh fruits, lots of vegetables, of course. I asked one of my good friends, Mikah, who’s a pescatarian (eats only fish and vegetables), and he also recommended finding a good protein bar for snacks. He loves the Naked juice line for their ingredients and protein boosts found in the bottles. One of the best pieces of advice he gave me? Don’t give up foods you love just to be vegetarian. Love bell peppers and apples? Keep eating bell peppers and apples! If you find you’re less happy munching on leafy greens than you are enjoying a burger, switch back! If it doesn’t make you happy and healthy, it isn’t working. I’ll put the links to some of my favorite vegetarian recipes from Pinterest to get you started, but let us know in the comments what your vegetarian diet tips are! Also, check out The Chubby Vegetarian for fantastic recipes!